In the world of tech, some battles are fought in plain sight. Uber and Lyft have been at each other’s throats throughout 2014; Microsoft dedicates a big portion of its marketing efforts toward bashing Google; and everyone knows that Samsung and Apple are bitter rivals when it comes to smartphones. But for years a cold war has been brewing between Google and Amazon that finally resulted in shots fired this week. Google recently changed its rules to force Amazon to remove its Android app from the Google Play store. The act of aggression came as retaliation toward Amazon, which earlier this year quietly integrated its Amazon Appstore to its Android shopping app. That feature made it possible for Android users to download apps to their devices directly from Amazon while cutting Google Play out of the process, disrupting Google's abilities to track Android app downloads and regulate what apps it allows on its mobile operating system. This is the latest and most blatant example of the intricate relationship between Google and Amazon. Though the two companies have vastly different core businesses -- Google’s being search and advertising, Amazon's being e-commerce -- many of their other services overlap. Both companies offer cloud storage; sell digital content like music, e-books, movies and TV shows; and sell devices like smartphones, tablets and digital media players. That’s made the two companies rivals, particularly in the mobile and consumers spaces, and it has led to both being very protective about their services by keeping them off each other's devices as much as possible. For Amazon users that has meant having no access to the bulk of Google’s services on their devices. If you search the Amazon Appstore, there are no signs of Google apps anywhere. No Gmail, no Google Maps, no nothing. The only sign of friendliness on Google’s behalf is a YouTube app credited to "youtube.com," but otherwise, Amazon device owners are deprived of many of Google’s popular services. This makes Amazon's devices less appealing than Android phones and tablets to avid Google users. The uncooperative relationship works both ways. 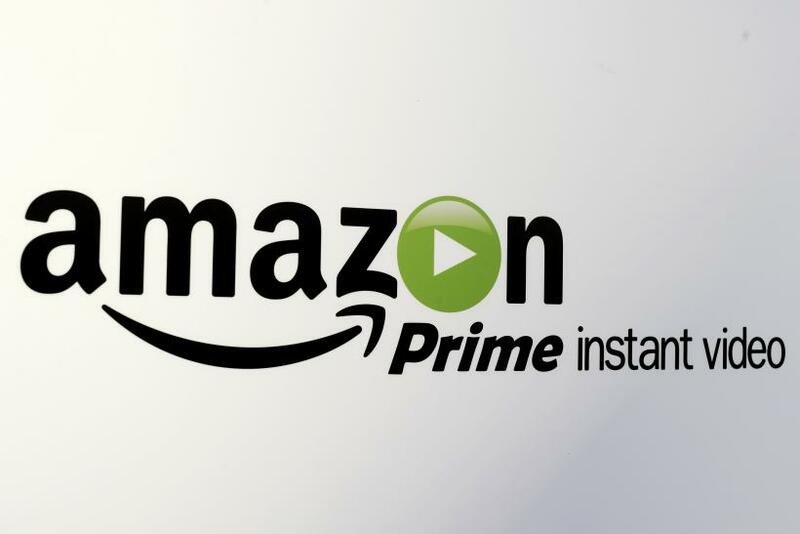 For years, Amazon has kept its popular Instant Video service from working with Google devices. That service is Amazon’s equivalent of Netflix and comes included with Amazon Prime, the $99-per-year membership that includes benefits like free two-day shipping. Amazon Instant Video does not work with Google’s popular Chromecast steaming stick, which allows users to watch Internet video on their TVs. Amazon has also kept Instant Video off of Google Play and did not give Android users access to it until earlier this year when it made it available through the Amazon Appstore feature on its now-removed app. By keeping Amazon Instant Video off Google’s gadgets, the tens of millions of global Amazon Prime members are more compelled to buy the Amazon Fire Phone and the Amazon Fire TV. Amazon and Google approach each other this way because they don't want to see their users ditch them for a rival. For example, if Google allowed the Amazon Appstore to exist on Android devices, Amazon would likely see its digital store grow "to the point where they do become a threat" to Google, said Jefferson Wang, a senior partner at IBB Consulting. It takes years to build up the kind of user bases Google and Amazon have for each of their services, and the point of this strategy -- avoiding one another's devices -- is to ensure they don’t lose users to competing services, said Brian Blau, research director of consumer technology and markets for Gartner. “They've got to protect that user base from anything happening to them, and that’s why they go through these efforts,” Blau said. But while Google and Amazon refuse to play ball, both have no qualms about catering to iPhone and iPad users. Every Google service of importance has its own Apple iOS app as does every Amazon service, including Amazon Instant Video, which also works with the Apple TV (albeit not too well the last couple of times I tried it). Google and Amazon believe they don’t have to cater to each other’s users, but they understand that they cannot avoid Apple. “They recognize that Apple is the main competitor. They go to considerable lengths to make sure their users are happy if they have Apple devices,” Blau said. Fortunately for Android users, Amazon uploaded a new shopping app to Google Play. The app was only allowed after Amazon removed its Appstore from it, but that hasn't kept the Seattle online retailer from keeping the feud going. "Customers who want the best Amazon experience on their Android phone, including access to Prime Instant Video and Amazon’s entire digital catalog, can still get the Amazon App for Android Phones at amazon.com/androidapp," Amazon said in a statement. The link in the statement takes Android users to a page with instructions for how to get around Google Play and install the removed app. The way Amazon and Google are going, Blau said he expects the two companies to continue their cold war for the foreseeable future. “They say actions are louder than words, and when you look at their actions, their actions say that they’re very protective of their users,” he said.